We all know the curse that hormones can have on our skin. Sometimes I get minor breakouts on my chest and they make me CRAZY!! 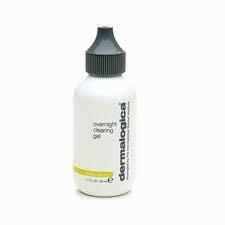 But, my sister had me try Dermalogica Overnight Clearing Gel ($45 www.dermalogica.com) and this gel is a miracle worker. You apply a thin layer at night to the problem areas and by morning they are less inflamed. This gel will calm skin down and gets rid of redness in an instant! I use it on my chest and neck and even on my face from time to time. It does have Salicylic Acid but it hasn’t caused my skin to dry out or become irritated. I really like that it has no artificial fragrance or color because my skin is so sensitive and it reacts to anything with a fragrance. I recommend trying this if you are having any stubborn breakouts on your body. This will make them calm down and really treat and heal hem fast. I apply this a couple of times a week since my breakouts are gone, I use it now as a prevention treatment. This brand has really great products and I like them because they make your skin feel really “clean” after you use them. The bottle will last you a while and it is totally worth it once you see the results!